Oxford Street in the centre of London is a major draw for those who love shopping and boasts some of the best shops in the world. Located in the City of Westminster in the West End of London, the 1.5 miles of outlets is the busiest shopping street in Europe – attracting some 100 million shoppers from 200 countries each year, who spend around £4.9 billion. 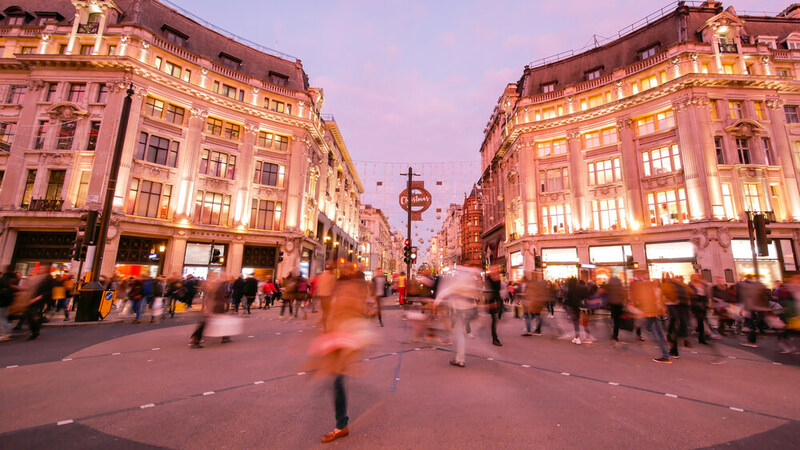 Oxford Street is home to an amazing 300 shops ranging from high-street fashion brands to top designer names – making it ideal for a whole host of budgets and tastes. It also provides lots of employment opportunities with some 50,000 working on the street. Here is a guide to just some of the shops that are worth checking out along Oxford Street. Selfridges is one of the largest stores on Oxford Street and is regarded as one of the best department shops in the world, so it is really a must. Founded by Harry Gordon Selfridge. The store was opened March 15th in 1909 and was even the subject of a recent television show called Mr Selfridge. The department store is home to a whole host of luxury brands with the very latest fashions. One of the highlights is the claim that Selfridges is home to the largest footwear department in the world, with 4,000 pairs of shoes on sale. As well as shopping, Selfridges also has a number of food and drink options, including a fabulous Champagne and Oyster Bar. There are also plenty of places to take a break from shopping along Oxford Street. Many of the chain restaurants have outlets along the street and there are also a number of independent restaurants, bars and cafes. One of the more unusual options for a bite to eat to is a Grade II listed raised terraced garden, just off Oxford Street. Brown Hart Gardens is home to Benugo’s Garden Cafe, which sells a lovely range of salads, sandwiches and hot and cold drinks. Share the post "Enjoy London Oxford Street"
This entry was posted in London Travel Guide and tagged London Oxford Street. Bookmark the permalink.